Two-Mile-Borris district correspondent Mr Gerry Bowe reports on the passing of the late Mr Jimmy Fogarty. 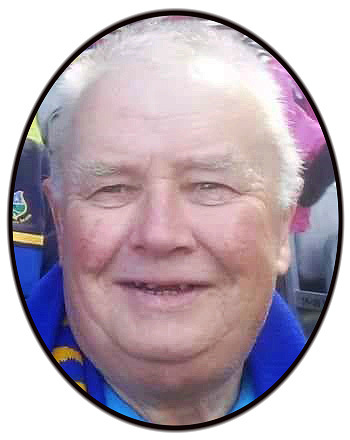 It was with sadness we learned of the death of Jimmy Fogarty, Skehana, Two-Mile-Borris Thurles, on Tuesday last, May 15th, after a short illness, and while in the wonderful care of the Matron, Nurses and Staff of the hospital of the Assumption in Thurles, Co. Tipperary. In his eighty year, Jimmy would have celebrated his birthday on July 20th next. Jimmy, as he was known to everyone, was a very quiet man, keeping to himself most of the time. A former Tipperary Star Reporter, he wrote extensively on athletics, but also on many more items of interest, which were published not just in the Tipperary Star, but also in Marathon Magazine,The Clonmel Nationalist, The Gaelic Weekly, Ireland Own and Ireland’s Eye Magazine; to mention just a few publications. Jimmy was a very active secretary with the Moycarkey -Borris G.A.A., Coolcroo Athletic Club, which was revived in 1958. A prominent member of Co. Tipperary N.A.C.A.,holding the positions of Secretary and P.R.O. ; he also held positions at Munster Council, and the National Executive of the Athletic Body, which he was proud to hold. In 1969 Bord Lúthchleas Oganach na hÉireann (B.L.O.E.) was established and Jimmy was honoured to be elected as first National Secretary. He held this position for two years. This position entitled him to sit on the Board of B.L.O.E. In 1965 Jimmy was elected to the General Council of the N.A.C.A.I.. In fact he was in attendance at their final meeting in Brú na nGael, Dublin on Saturday March 4th 1967. On Sunday April 16th the same year, he was a delegate at the special Congress of the N.A.C.A.I.. Here the congress agreed, by a vote of 85 to 33, to merger with the A. A.U. and form Bord Lúthchleas na hÉireann, (Irish Athletic Board), B.L.E. In the G.A.A. at club level he held positions as Secretary P.R.O. and Vice President. He also served as a selector on committees that managed successful teams and was a selector on the winning county senior hurling squad of 1982. As an athletic administrator he was highly respected at all club, county, provincial and national levels, while Moycarkey Borris G.A.A. held him in very high esteem, demonstrated by all of the senior positions, held by him within the club. “Jimmy may you rest with your family; friends with the Lord. Go ndéana Dia trócaire ar a anam dílis”.